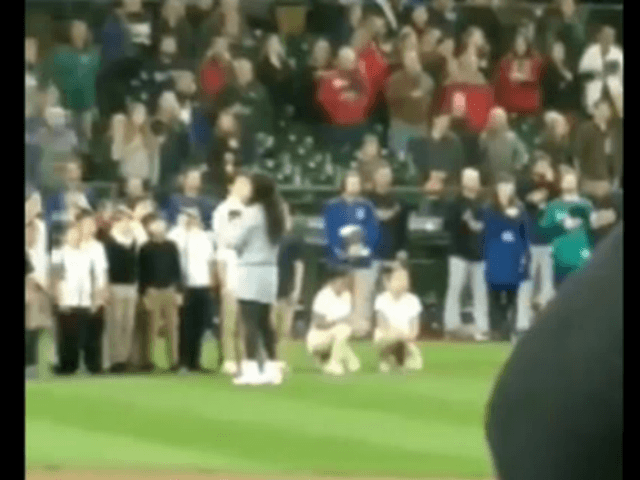 Two young girls took a knee while performing the national anthem at Sunday’s Seattle Mariners game. The girls’ protest follows more than two years of controversy since former San Francisco 49ers quarterback Colin Kaepernick began protesting the anthem at the start of the 2016 NFL season. The girls have not been identified, nor have their ages been disclosed. While protests became ubiquitous in professional football, such displays have been more rare in Major League Baseball. Though, last season, the Oakland As’ Bruce Maxwell became the first MLB player to protest the country during the national anthem.